A very critical factor in the aftermath of the nuclear meltdowns at Fukushima is stress and corrosion on metal parts of the reactors themselves and also the spent fuel and fuel pools. 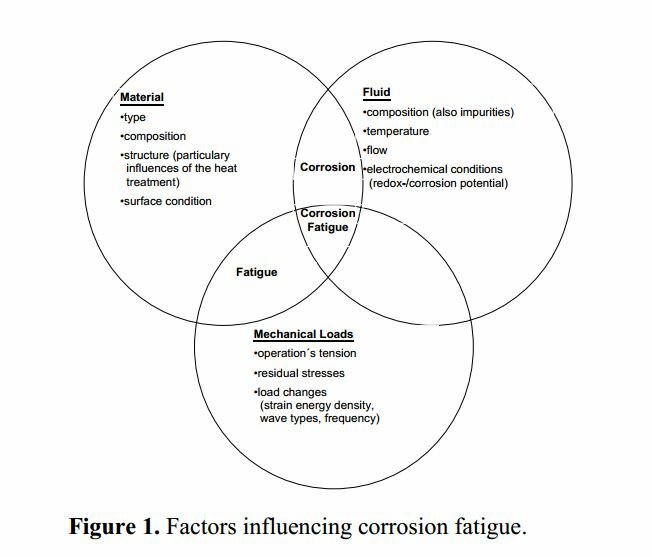 In this paper we look at corrosion factors and also the actual pipes in use at Daiichi for the ongoing watering effort. The type of metal involved, mechanical loads and the type of fluid in contact with the metal will all impact the corrosion and destruction of pipes and metal. Mechanical loads can include movement of pipes and structures during the initial earthquake, ongoing aftershocks and also movement as equipment broke or shook during the meltdowns. pH: The reason for controlling pH in the reactor coolant system is to minimize and control corrosion. In reactor facilities (except those containing aluminum components), acidic conditions are detrimental to the nuclear plant materials in a number of ways. An acidic condition in the primary coolant results in processes that are potentially harmful to the system as follows. 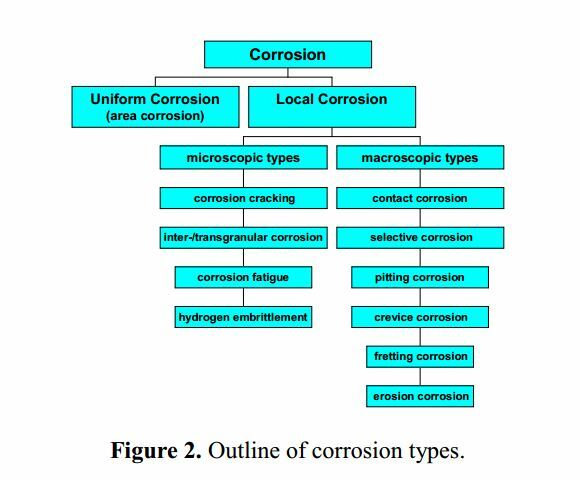 First, a low pH promotes rapid corrosion by deteriorating or “stripping off” the protective corrosion film, and second, corrosion products such as ferrous oxide (Fe3 O4 ) aka rust, which is predominant in the corrosion film, are highly soluble in an acidic solution. Oyxgen: Control of the dissolved oxygen content in the reactor facility system is of paramount importance because of its contribution to increased corrosion. Corrosion is dependent on both the concentration of oxygen and temperature.The corrosion rate is accelerated by increased concentrations of dissolved O2 and can be aggravated further by the presence of other substances that may be present in the system. Hydrogen: Hydrogen gas (H2 ) and hydrazine (N2 H4 ) are the scavenging agents normally used to eliminate dissolved oxygen from the reactor coolant systems. Because hydrazine decomposes rapidly at temperatures above about 200 F (forming NH3 , H2 and N2 ), hydrogen gas is used as the scavenging agent during hot operation and hydrazine is used when the reactor coolant system is cooled below 200 F. The decomposition reactions of hydrazine pose additional problems in chemistry control. Even if sufficient hydrazine were added to overcome the loss due to decomposition, instability of coolant pH would probably occur. Total Gas Content: Total gas is the sum of all gases contained in the coolant system and is made up primarily of hydrogen (H2 ), nitrogen (N2 ), argon (Ar), and oxygen (O2 ). The small amounts of 2 fission gases (Kr and Xe) normally present in the system may also contribute to the total gas concentration. 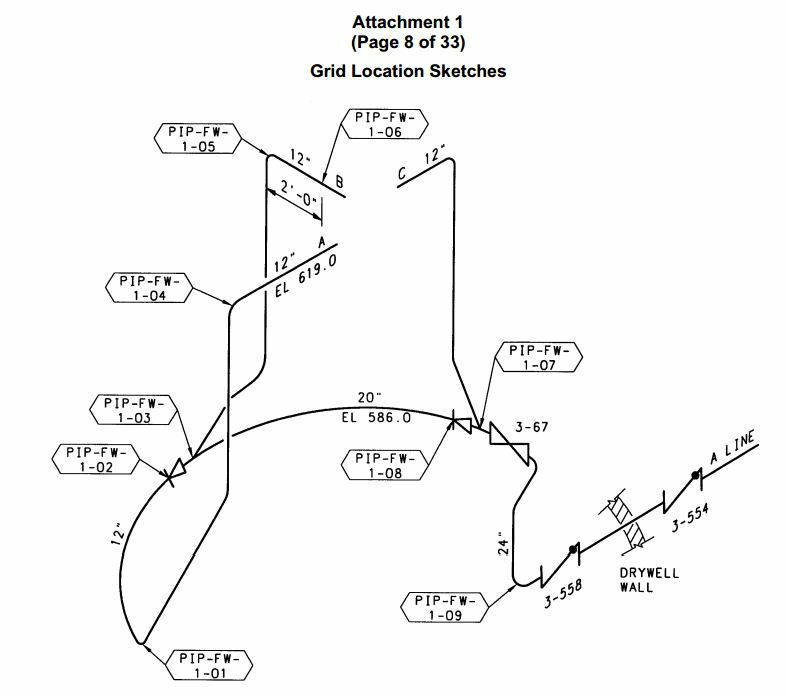 Total gas is of concern because high concentrations can result in the formation of gas pockets in areas that are high points of the system where low or stagnant flow conditions exist. Conductivity: Conductivity of reactor facility water is measured to provide an indication of dissolved ionic substances in the coolant. Reactor coolant conductivity is normally controlled at a level as low as practicable and consistent with pH. Excessively high conductivity levels are an indication of the presence of undesired ions. This condition warrants further investigation to locate the source of the impurity because, in addition to other chemistry problems, it contributes to general corrosion by increasing the reaction rates of the electrochemical cells. Chlorides: The reason for maintaining the chloride ion concentration (salt) at a minimum level practicable is that several forms of corrosion are affected by the chloride ion, and the type of greatest concern is chloride stress corrosion. When high levels of Cl are suspected, or detected, immediate steps must be taken to eliminate the source and remove Cl from the system because of the potential consequences. Replacing the water with new clean water is one method as is ion exchange filtering. The method is used to control Cl concentrations in the reactor coolant by routing water through the ion exchange system. At Fukushima an improvised version of both is being attempted to improve the water quality. Fluorine: High levels of Fluorine are potentially hazardous for two reasons. First, Fluorine promotes corrosion of zirconium by a stress corrosion mechanism at the inner surface of the cladding (fluorine can be introduced to this region because of the existence of small defects or “pinholes” that cannot be completely avoided in the fuel cladding). Second, Fluorine is a major contributor to radiation levels of the reactor coolant. Fluorine can enter through impure ammonia or lithium added to the water chemistry. Fluorine is removed by the same methods as salt removal. Boron: Boron is used to prevent reactivity or reactions in the reactor and related parts. Radioactivity: Radioactivity of the reactor coolant system is another factor in corrosion. These impacts include increased corrosion, crud bursts and fuel element defect or failure. This level in the cooling water can be controlled by ion exchange filtering. Also of concern are “crud blobs” and plating. Crud blobs are build ups of sediment that collect in places throughout the cooling system and can cause blockages or adhere to surfaces. Plating is a process where sediments can fuse themselves to surfaces, the interior of pipes or on fuel assemblies. This can block water flow and cooling ability creating hot spots on fuel assemblies. TEPCO has set up an improvised watering system at the plant that consists of a network of hoses and pumps to bring water from holding tanks on site. This is pumped into the reactors in an attempt to cool the reactor vessel and the melted fuel though TEPCO is not sure of the actual location of the melted fuel in units 1-3. TEPCO has begun to switch out the hoses for PVC plastic pipe with insulated covers. The plant has had issues over the last winter with freezing and leaking hoses due to the elements. The water system hooks into the feedwater lines inside the reactor building, these pipes push water to the core spray ring and the feedwater spray ring inside the reactor vessel. TEPCO has had periodic challenges with the watering system losing flow. During one such episode after an earthquake TEPCO assumed debris and crud had broken loose in the pipes causing a partial blockage of the water flow. Clogged pipe problems have presented challenges at the plant as far back as July 2011. TEPCO faces a major challenge to keep these existing pipes clear and working for the next 10 years. 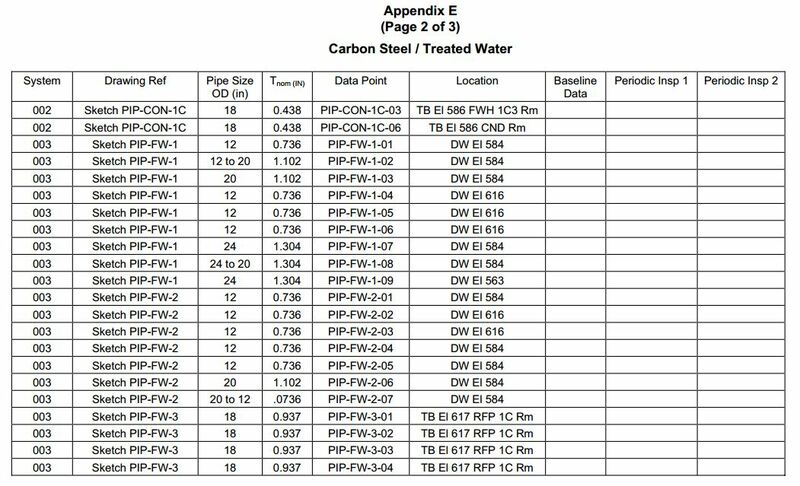 We did not find any records of these pipes being replaced at units 1-3 at Fukushima Daiichi NPP. The feedwater and core spray rings inside the reactors were replaced as part of the shroud replacement work that was done at units 1-3 between 1997 and 2001. (4) The pipes are about 42 years old and have suffered the extreme conditions of the triple meltdown accident. TEPCO has not proposed any plan for dealing with this issue.